One of the most heavily trafficked lines of the Pennsylvania Railroad was the Cleveland & Pittsburgh line that diverged from the east-west Fort Wayne line at Alliance, Ohio to reach Cleveland, and which is today an important part of the Norfolk Southern system acquired as part of the Conrail breakup. 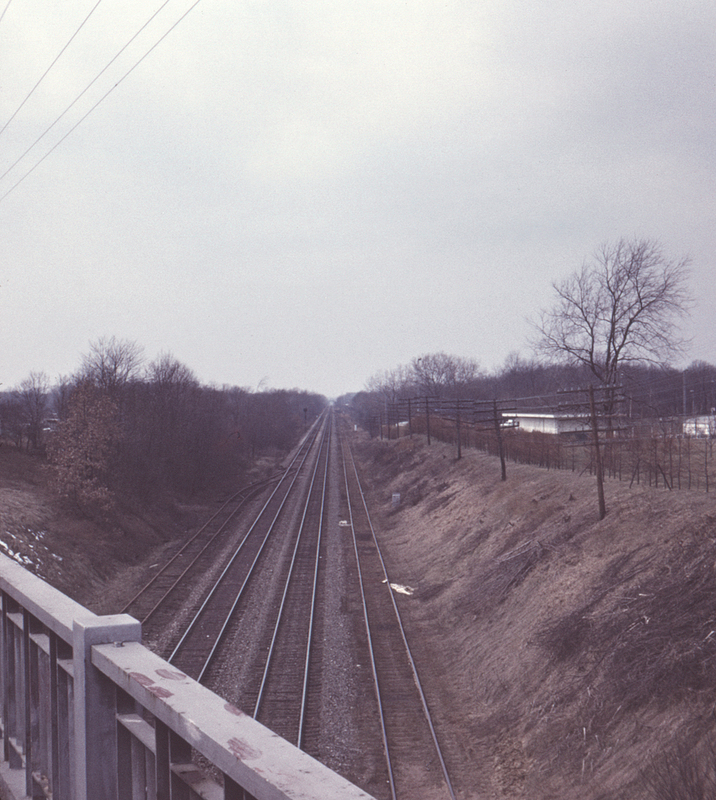 Here, looking north from the Ohio State Route 5 overpass just west of Ravenna, Ohio, we see the two center main tracks, with the two outside tracks forming part of the connection at Ravenna with the Baltimore & Ohio's Youngstown to Ravenna cutoff. The Erie's overhead bridge can be just made out in the distance.